In Web Safety you can configure network settings from Admin UI as indicated on the following screenshots. After you click Save Settings Admin UI will automatically generate the /etc/netplan/50-cloud-init.yaml file. You might need to reboot the proxy machine afterwards. If is also possible to manually set the static IP from root console. 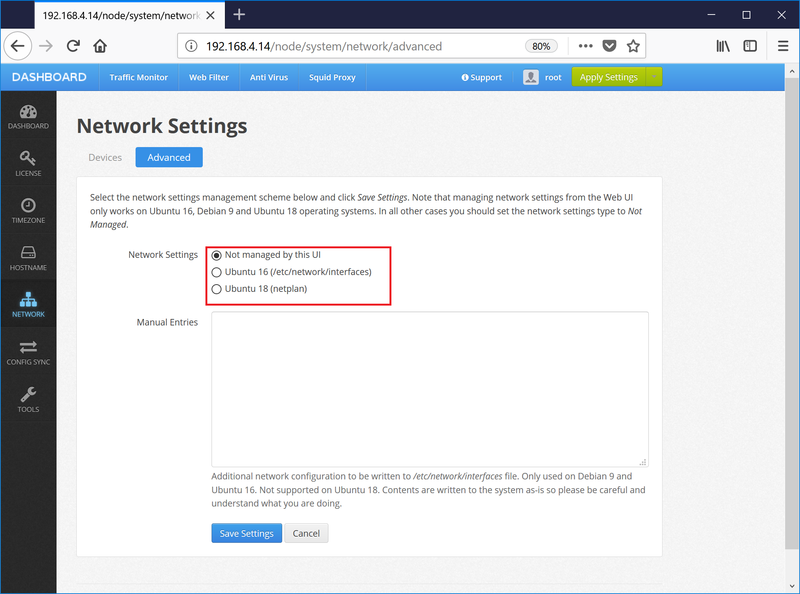 First ensure the Web UI is set to not manage the network settings. Click on UI / Dashboard / Network / Advanced as indicated on the following screenshot. Then configure static IP address on Ubuntu 18 LTS as for example in https://askubuntu.com/questions/1029531/how-to-setup-a-static-ip-on-ubuntu-18-04-server. Reboot your virtual appliance afterwards.